Everyone learns best in their own way, and as time becomes more and more scarce, knowing your preferred learning style is vital if you are to make the most of that scarce time. Do you like to listen to lectures or “how to” explanations; do you prefer to watch someone else do something first and learn from others experiences; do you like to read lots of books or papers and absorb the theory before trying to put it into practice; or do you like to get on with it and learn from how it evolves in real time? My preferred analytic for determining learning styles is the Honey and Mumford Learning Style Inventory, combined with a 360 exercise. 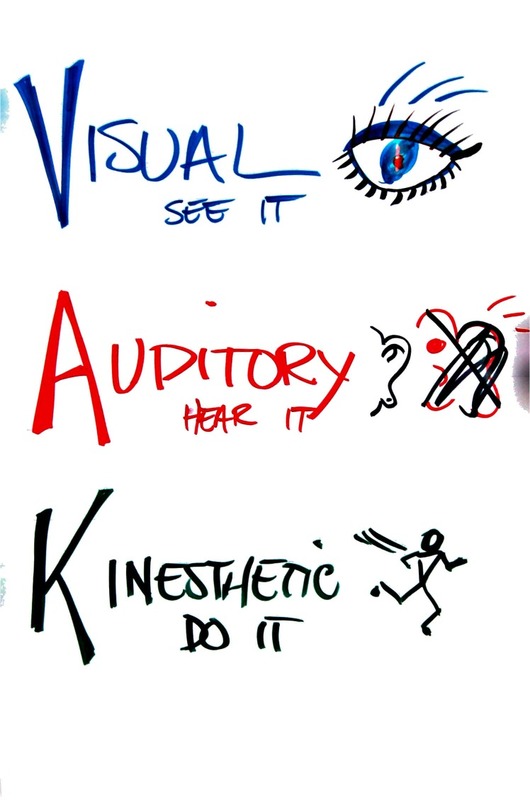 And if you have a team that needs to learn and develop as a group, these ingredients are excellent for illustrating scorings across a diversity of styles, and then designing high impact and longer lasting learning opportunities for everyone. Individuals who have experienced a varied/generalist career pathway might if continual professional development has been a feature of their careers and subsequently embedded in their workplace, display very narrow but strong groupings (scores) for three out of the 4 recognised learning styles. Some call this general roundedness in managerial learning terms and/or easy adaptability to new situations. Pressure is usually welcomed by these individuals and they thrive on it. Big swings and/or large discrepancies between strong preference and low or very low preferences show a developmental learning need if stress from vastly competing environments is to be avoided. Therefore, one strong preference and 3 neatly grouped lesser preferences, ideally around the 10 or more mark indicates a highly adaptable individual. Adaptable individuals are fairly mobile and very definitely sought after in the modern workplace. However, a score below 10 could be considered a blind spot and blind spots are very much developmental areas if identified. To find out your individual preferred learning style, or to book a team exercise in order to get the most out of future learning initiatives, get in touch here. There is no need to waste money any longer on ill-fitting learning which produces no lasting value. Let us do this analysis for you and maximise future value for money and development.